Santiment is currently establishing market data infrastructure for blockchain and cryptocurrency assets. It’s a pioneering platform for providing exclusive content streams, cryptocurrency-related datafeeds, and an up-to-date database for reference cryptocurrency projects. This platform will equip its users with an informational edge, allowing them to mitigate risks and maximize profits. The team recognizes crowd sentiment as the silent driving force behind crypto-markets, making it the focus of the platform, alongside content and datafeeds. The plan is to provide datafeeds access via web and mobile terminals, but also to integrate it into different third party services like asset management platforms and crypto exchanges. Santiment is based in Switzerland and gathers an international team of experts. Maksim Balashevich is the founder and CEO of the company. He’s an entrepreneur who worked for IBM and also co-founded a hosting company. Maksim is a serial product creator with significant experience in modern financial systems analysis. Hamburg Ethereum community leader Dmitry Palchun is the smart contract developer at Santiment. He’s the designer of SAN tokens. Eugene Tartakovsky is a full-stack developer who is currently working on Santiment app development. Tzanko Matev, Ph.D., is a mathematician, data scientist, and software developer. Santiment’s marketing and PR are handled by Mitchell Loureiro, communications specialist, crypto-marketer, and market analyst. Igor Matyushkin is a mobile app developer who specializes in banking and financial apps. Kim Carson is UI/UX designer and enterprise apps specialist while Feng Jiahong is in charge of design and illustration. Kelvin Lee, also known as “Wilhelm” inside the crypto space, holds the position of the community manager, acting as the main gateway to all things related to Santiment. Although highly lucrative, crypto-markets are ripe with information asymmetry, extreme volatility, and illiquidity. The accumulation of these factors leads to one crucial problem, the chronic lack of verifiable, high-quality information. People from Santiment are aware of this predicament and offer their platform as a solution. Santiment provides detailed datafeeds on blockchain activity and market sentiment. 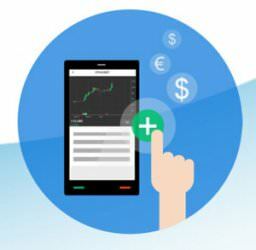 This almost real-time data gives Santiment’s users the opportunity to investigate the market, follow fluctuations, and develop a better investing or trading strategy. Santiment’s platform is especially useful for new crypto-traders, but its main targets are whales, hedge funds, and data vending channels. At the moment, the mobile app is in the alpha stage. The app features a trollbox sentiment feed, price feed, charts, and a sentiment journaling game. The company plans to expand its business to a proprietary web platform. According to the plan, both the mobile and web platform should operate thousands of datafeeds by 2019. Profitable trades and good investments depend on various factors. 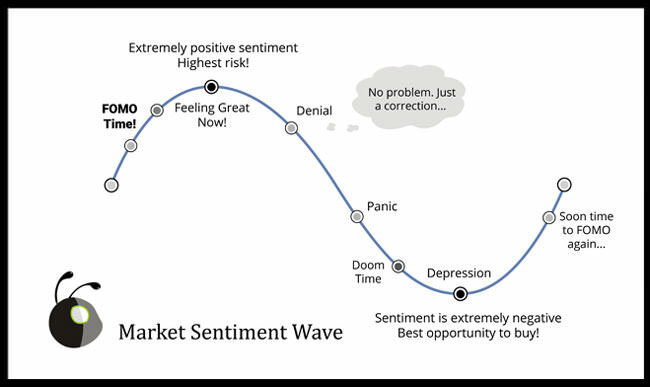 One of them, particularly important, is market sentiment. Keeping that in mind, Santiment offers a platform that can help investors and traders get a better insight into the market before making a move. Detailed datafeeds make it easier to detect patterns and invest smarter. Santiment is working on the first library of blockchain and sentiment data. Real-time streams provide subscribers with the newest info on cryptocurrency trading. This can be very useful for new crypto-traders and experienced investors as well. Owners of exchange and asset management platforms can use Santiment’s API to upgrade their apps. With detailed datafeeds from Santiment, it can be much easier to attract more customers. When it comes to tokens, they are issued in Switzerland in accordance with FINMA regulations. Moreover, they are created to bring numerous benefits to their holders. They can be locked/staked to give holders access to a free but limited stream of datafeeds and content. Special arrangements will be reserved for asset platforms and exchanges. They are required for participation in Santiment auctions. In order to protect the health of the network and guarantee its further development, some actions will demand payments in SAN tokens. The holds of SAN tokens will be distributed to participants in order to improve the quality of information in the database. Santiment ICO starts on July 4th 16:00 GMT+1 and lasts for 30 days or until the cap is reached. The crowdsale has 3 stages and each of them is organized for a certain group of buyers. In the first stage, which will take place on July 4th, only members of the Santiment community can purchase SAN. The second stage will be held on July 5th, when Cofound.it Priority Pass holders can buy SAN. The third stage will be held on July 6th, when SAN crowdsale will become public. The minimum cap is set at 15.000 ETH whereas the maximum cap is set at 45.000 ETH, which is definitely encouraging since uncapped ICOs are a major red flag and signals of a possible scam. SAN tokens will be sold at a fixed price of 1 ETH for 1000 SAN. 5% for the reserve fund. SAN tokens will be issued immediately after the end of the crowdsale. However, all the tokens will be frozen for 7 days. If you want to become a SAN token holder, you can take part in the July/August crowdsale. You can buy tokens with ETH. You need to use your own Ethereum wallet and make sure you have access to its private keys. Santiment recommends using MyEtherWallet Ledger Nano S, Parity, and Mist. The company also warns you not to pay for SAN tokens from any exchange platform, such as Poloniex or Coinbase, because the payment won’t reach Santiment’s Ethereum address and you’ll lose your coins. Crypto Coins’s YouTube review can answer your questions about Santiment ICO, explain how the platform works, provide you with useful information about SAN tokens, and more. This Vimeo video features a short but comprehensive presentation of the Santiment platform. It contains information about its features, advantages, and potential. Santiment’s team of experts is working on establishing the first market data infrastructure for cryptocurrency. Keeping in mind how important sentiment is for smart investing and profitable trading, the team does its best to provide its customers with a better insight into these aspects of the cryptocurrency market. It offers a mobile app that provides cryptocurrency-related datafeeds, content streams, and a sentiment journaling tool. The company plans to launch a web platform as well. Santiment will introduce SAN tokens during its ICO in July. The tokens will provide different benefits for their holders. Unfortunately, they can only be used within the platform, which may be a slight drawback for some users.